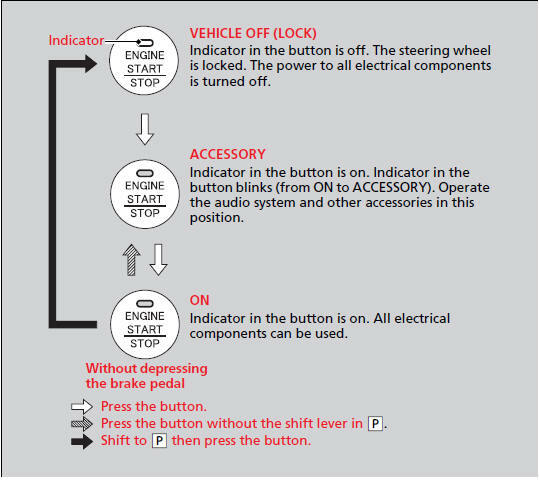 You can start the engine when the keyless access remote is inside the vehicle. 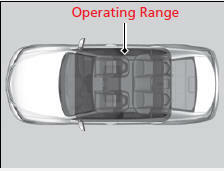 The engine may also run if the keyless access remote is close to the door or window, even if it is outside the vehicle. Indicator in the button is off, if the engine is running. If the keyless access remote battery is weak, beeper sounds and the To Start, Hold Remote Near Start Button message appears on the multi-information display.